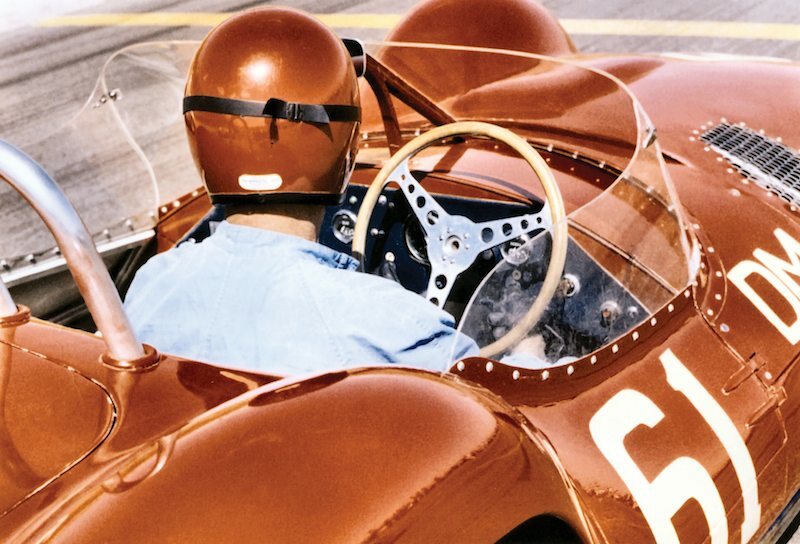 Although Maserati had enjoyed competition success with its championship-winning 250F grand prix car, the Modenese company soon found itself in dire financial straits. With the introduction and sales success of the road-going 3500 GT, however, the company’s health improved drastically, prompting a renewed interest in creating a sports car that could be raced, not by the factory, but by privateers. Credit for the resulting Tipo 60/61 goes to engineer extraordinaire Giulio Alfieri who during 1958 created this stunning sports racing car. Its “Birdcage” nickname comes from its unique and very innovative trellis chassis construction, made of a plethora of small tubes between 10 and 15 mm thick. Once welded together (all 200 of them! ), they created a structure as rigid as it was light, weighing just 36 kgs, clothed in svelte wheel-hugging aluminium body – a true work of art and testimony to Maserati craftsmanship! Into this structure was fitted the Tipo 60’s 1,990 cc inline two-cam four-cylinder engine, very far back towards the cockpit. Independent front suspension provided superb turn-in while the de Dion rear axle with transverse leaf spring and coil over telescopic shock absorbers made the car easily controllable. 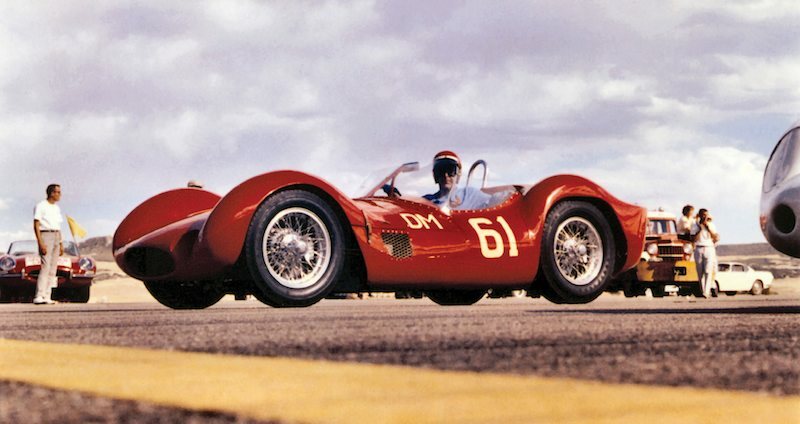 In what would become Maserati’s last factory entry in decades, a Tipo 60 was entered at Rouen Les Essarts in July 1959, winning the race outright. Naturally, the phones started ringing off the hook in Modena! Six Tipo 60s were sold before the 1961 upgrade to Tipo 61, which benefited from an increased capacity of 2,890 cc and delivered 250 hp – more than enough horsepower for a 600 kg heavy car. In all, 17 were built, including one Tipo 60 that had been upgraded. 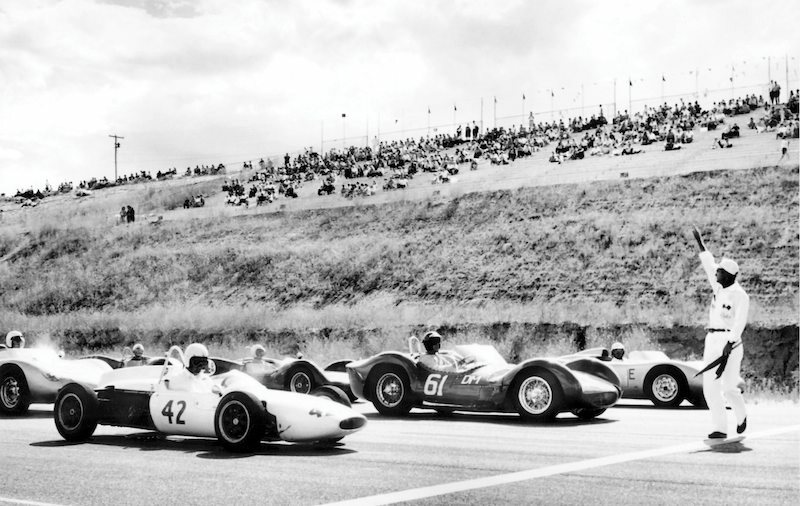 The car’s notable wins were the Camoradi team victories at the Nürburgring 1000 kms in 1960 and again in 1961, against the might of rival factory teams. From the beginning, Birdcages were very popular with American competitors. The car offered here, chassis 2470, was no exception. 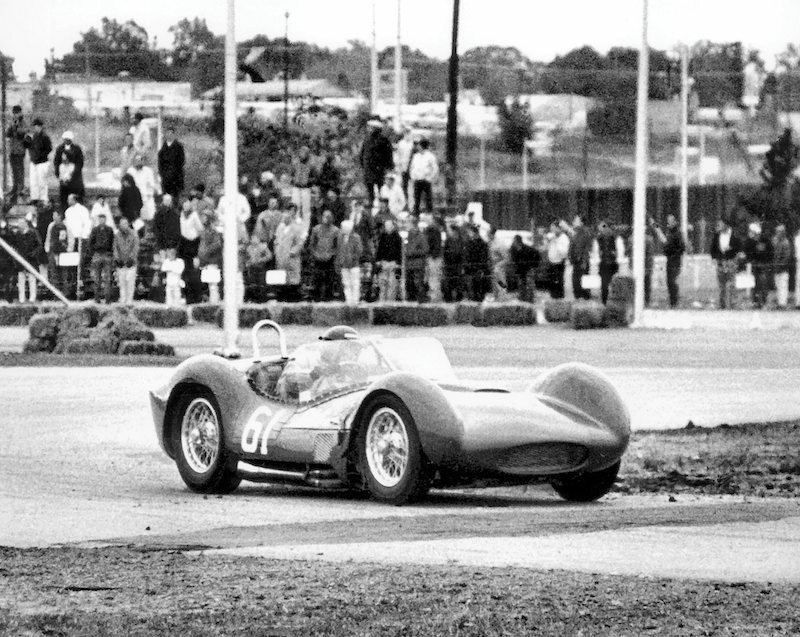 The third-to-last Birdcage built, it was sold new in December 1960 to Jack Hinkle who was not just the proverbial wealthy amateur racer. A laid back, unassuming and popular Texas banker, oilman and then-president of the SCCA, he was described by historian Joe Scalzo as “one of the fastest men in competition today…He is in fact something all new – a wealthy sportsman driver who races as hard as the pros.” Scalzo went on to note that Hinkle was also a bit of an eccentric, having his lawn mower modified so it would run 50 mph…and promptly losing control and flattening his wife’s rose bushes! The results he achieved with 2470 were stellar. In 1961 he entered seven races, of which he won three – La Junta, Colorado and two races in Oklahoma at Ponta City and Norman. He also had two second places finished, one third and just one DNF. The following year, he participated in nine more races, winning three (Nebraska, Oklahoma and Kansas), finishing second in three more, third in two races and again one DNF. Thus, he always finished on the podium, with the exception of the two races he did not finish. The RM description contains a couple of errors. Jack Hinkle was not from Texas but from Wichita, Kansas. Also, the car was never painted black during its competition years, as the color photos indicate. Jacks Birdcage #61 was always Red! Tracy Bird may have raced the car at Castle Rock, but Castle Rock is just south of Denver, Colorado, not Tucson, Arizona as stated. Willem Oosthoek is right. Jack Hinkle was from Witchita, Kansas, where he was a banker. Also of interest is that 2470 was the 2nd Birdcage Hinkle raced. Earlier, his first Tipo 61 was seriously damaged in a race at the Oklahoma State Fairgrounds in Oklahoma City. As Paul Garrett mentions, Hinkle hit a light pole at the narrow track at OKC in November 1960, but the car survived. Hinkle’s first Tipo 61 was repaired and he raced it one more time, at Malden Air Force Base in May 1961. Upon receiving his second Tipo 61, the first one was sold to George Koehne, who campaigned it into 1962.